Robinson: The Journey does the thing where you’re introduced to the world by opening a door and having a vast landscape, teeming with life, laid out right before your eyes. It’s impressive and seeing pre-historic creatures in that context makes for a really cool moment. Unfortunately, Robinson doesn’t really live up to that brief moment. 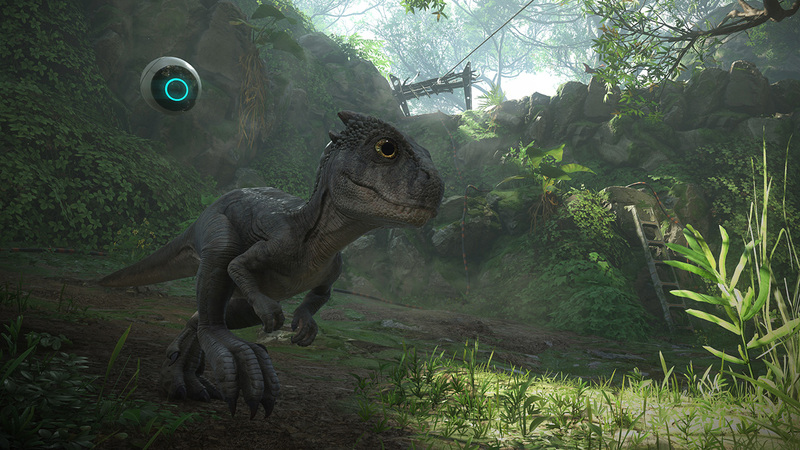 The game instead features a linear journey with some not-all-that-exciting tasks, a bit of repetition, a clunky climbing system, and a pet dinosaur that isn’t nearly as cool as it could be. The story goes something like this, the Esmerelda has traveled a great distance through space with a crew in hopes of colonizing an Earth-like planet called Tyson III. Something goes wrong with the mission, a space pod carrying a young boy (Robin) crash lands on the planet, and he awakes some time later uncertain if he’s the only survivor. In addition to making some sort of contact with any possible surviving crew members, Robin must also come to terms with a dinosaur inhabited planet that’ll prove far more dangerous than expected. He’ll have the help of a HIGS unit (an AI that inhabits a floating orb) and his dinosaur friend Laika, as they attempt to uncover what happened to the Esmerelda and ultimately survive. One of my main issues with Robinson goes back to how the game starts. The moment the door to your space pod opens you get to see a whole new world that, in theory, is filled with all sorts of pre-historic life. In that first moment alone, it’s easy to marvel at the distant landscape, watch as pterodactyls fly through the air, and just imagine what other things might be out there just waiting to be seen. From that moment on, Tyson III rarely feels like a living breathing world. Specifically, it’s the dinosaurs that sometimes feel closer to an animatronic rather than the real thing. There are moments where Robin can interact with the various life forms on Tyson III, but so often it feels like these things are just there to be seen and not so much because they actually live here. In that respect, it takes some of the impact away when you do come face to face with dinosaurs that tower above you. That’s not to say that there aren’t any really awe-inspiring moments (there are) but so often coming face to face with a dinosaur isn’t nearly as exciting as it should be. 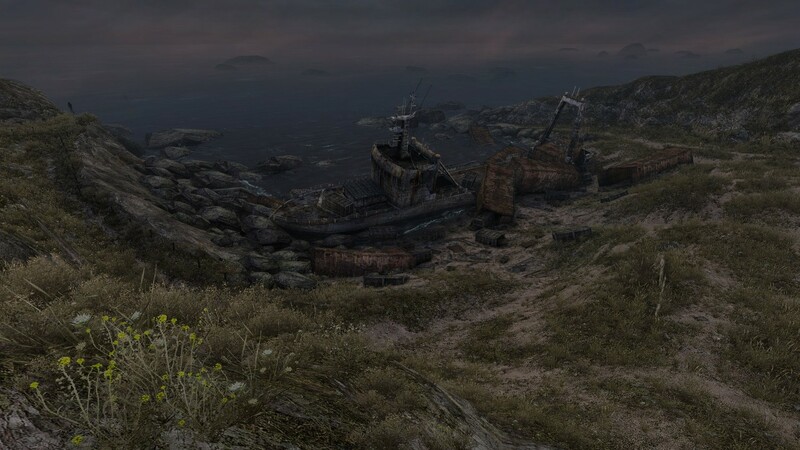 Robinson’s core gameplay loop consists of traveling to one of a few different areas, completing some very basic puzzles, and ultimately finding a HIGS unit that will hopefully shed some light on the current situation. One pathway will lead you to a tar pit with a dozen or so massive long neck dinosaurs standing around. Here, you’ll need to move pieces of debris to form bridges across the tar and use Laika to ‘scare off’ the large dinosaurs that block your path. The result, like most of the other locations, is a pretty linear trek that requires a bit of interaction to solve a few very simple puzzles. Sometimes you’ll simply need to pick something up and move it, issue a command to Laika, or use your HIGS unit to reroute power in any given structure. The tasks you must complete get to be pretty dull and the few puzzles (if you want to call them that) are so simple that there’s very little room for creativity. Many of the things you can do within the game are pretty cool on their own. Picking up objects through levitation, issuing commands to Laika, rock climbing, and taking control of your HIGS unit all offer a decent amount of potential. These things just don’t come together in the context of a full game without other factors to support them. For instance, Laika is rarely needed and ultimately only used a handful of times throughout the game. There could have been a really interesting bond formed between human and dinosaur, but more often than not I completely forgot that Laika was even present. There’s also the fact that the climbing sections are pretty annoying with how finicky the controls for it can be. Though I’m certainly disappointed with the outcome here, there are still a few things that I really grew to like throughout my journey. Finding HIGS units and other ‘collectibles’ will open up new bits of backstory that helps to shed some light on the colony aboard the Esmerelda as well as some context around Tyson III. Most of this information comes from audio logs or text chats from members of the colony, so there’s also an added layer of being able to get into the mindset of these people. Gaining an understanding of how they view the mission as well as their reaction to finding dinosaurs on Tyson III is genuinely cool and at least makes the little exploration that’s there worth it. I also grew to really like identifying creatures found on the planet. Doing so helps fill out the game’s bestiary, and also involves a neat little mini-game of sorts. Weirdly enough, it kind of reminded me of identifying creatures in No Man’s Sky. As it turns out, just wandering around identifying life forms on alien planets can be pretty fun no matter the context. Robinson’s announcement trailer had me really excited about the idea of a dinosaur planet in VR. 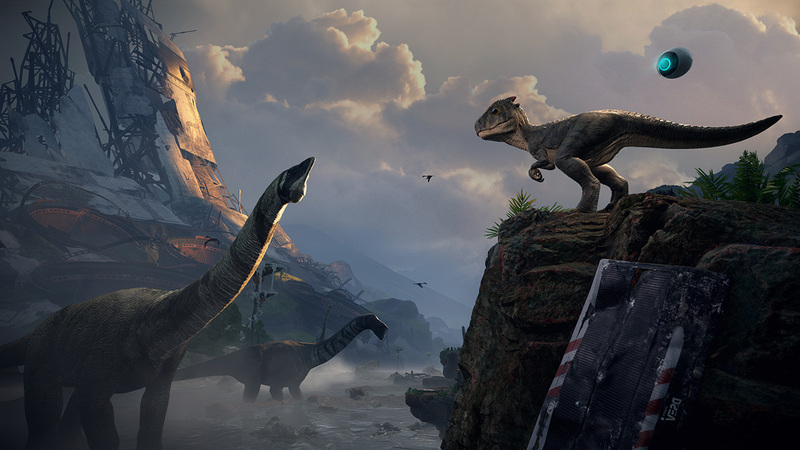 While much of the gameplay became dull over time, I didn’t hate the game and there are brief moments where the game did leave me impressed – especially with the scale of some of the dinosaurs. I’m ultimately just disappointed that Tyson III never felt like a real place. The structure of the world, one that makes it feel more like a dressed up museum than an actual place, really makes it hard to buy into it once the VR headset is on. Impressive scale when in contact with large dinosaurs. Identifying creatures for the bestiary. Learning more about the crew through collectibles and HIGS units. Game loop gets repetitive and dull. Climbing could be cool, but becomes a bit of a hassle. Doesn't feel like a living world, but more like a museum. Laika is a missed opportunity.